In the world of aircraft leasing, big players like BOC Aviation and CALC dominate the low-cost carrier (LCC) market, but Amsterdam-based TrueNoord has found a special niche by operating in the regional aircraft space. Editor Matt Driskill spoke with TrueNoord’s CEO, Anne-Bart Tieleman, about the lessor’s work and future plans. Words like “understated” and “boring” are not typical fare when discussing the aviation business with CEOs, but Tieleman, who founded TrueNoord as GA-Finance in 2002, speaks with typical Dutch understatement when he describes his business as boring. The company, rechristened as TrueNoord in 2016 (and which stands for True North in a mix of English and Dutch) is on an expansion path and Tieleman made a recent visit to the Asia-Pacific region to scout out business opportunities. 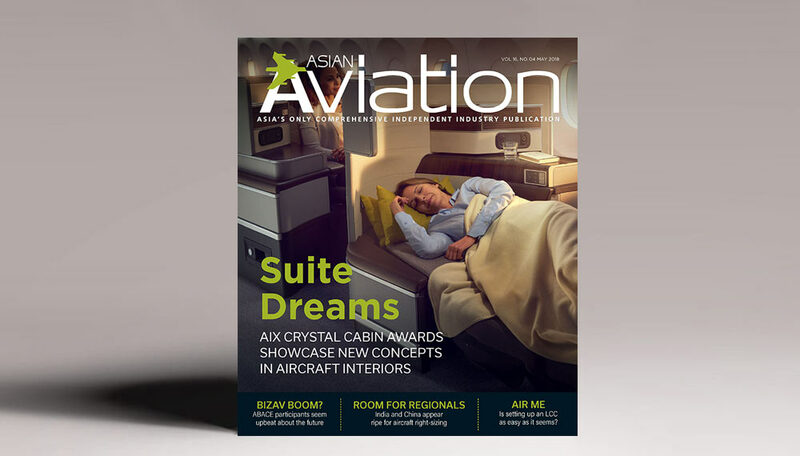 And while the company is on a growth trajectory, Tieleman says he remains focussed on being a regional aircraft provider and has no plans to expand into the Boeing or Airbus planes that are being snapped up by LCCs in Asia. He pointed to countries like India, China, Thailand, Indonesia and the Philippines as being hot for prospects at the moment but said TrueNoord’s focus would be strictly on regional planes. He said the Q400s and ATRs are particularly popular in places like Indonesia, Japan, India and Thailand as well as the Philippines. Europe remains the company’s main area of operations and expertise, but Tieleman says recent moves by jurisdictions like Hong Kong will help Asia grow its aircraft leasing businesses. Double taxation treaties however, remain the key sticking point for setting up operations in places like Hong Kong. In India, TrueNoord is “keen to develop business there…and we’re absolutely interested in SpiceJet and IndiGo and other airlines looking at regional jets…it’s not something to rush into, but we will be there, but step-by-step, in a boring way, trying to build our business”, Tieleman explains.